Hey everyone…we really want you to join us for another very special night of ROCK-N-ROLES on September 27th at 7pm. It’s going to be tremendous fun as always, and we want to share it with you! For those who don’t know, ROCK-N-ROLES is a new play event where 6 playwrights randomly select a song from a hat and then write a new 10 minute play using that song as inspiration. They write overnight and begin rehearsing their play the next morning with cast and director. All six plays premiere that evening. It’s a high-wire, exciting event with loads of fun, and great music to top it all off. Previously we’ve had plays inspired by The Beatles’ “Norwegian Wood”, Led Zeppelin’s “Going to California”, Meat Loaf’s “Paradise by the Dashboard Light”, Aerosmith’s “Dude Looks Like a Lady”, Springsteen’s “Born To Run” and Thin Lizzie’s “The Boys are Back in Town” to name just a few. ROCK-N-ROLES will be Sunday September 27th at 7pm at TheaterLab, 357 W 36th Street, 3rd floor. Tickets are $20 and include one drink ticket. They can be purchased in advance here. 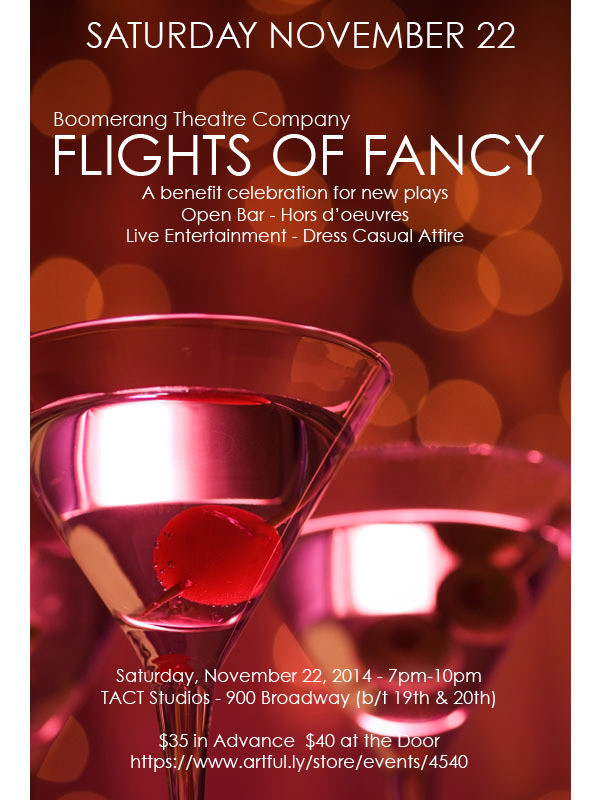 All proceeds support Boomerang’s new play development programs including the 2015 First Flight New Play Festival, kicking off November 18th. Chords will be strummed, hearts will be broken, and Rock will be King. Don’t miss it!